Brows are the most important part of my routine, and they take the longest so I'm always open for new products. During Sephora's 20% VIB Sale I went ahead and picked up Anastasia Beverly Hills Brow Powder Duo. 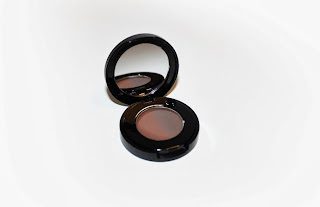 The Brow Powder Duo retails for $23 USD ($30 CAD) and includes a Two-Shade Compact (0.03 oz) that creates a natural brow. 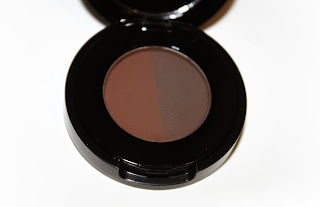 This duo is said to be a "lightweight, sheer to medium coverage formula" that is "smudge-proof" and includes "two shades to ensure the perfect brow color." * Taupe is described as a cool taupe. * Blonde is described as a warm gold. * Caramel is described as a reddish blonde. * Medium Brown is described as a taupe based brown. * Brunette/Dark Brown is described as a dark warm brown. * Ebony is described as a deep neutral brown. * Auburn is described as a reddish brown. * Granite is described as a cool dark brown. The duo I picked up was in the shade Auburn. My natural hair color is red, but my brows have always been a darker brown -- they've never matched. So it can be troubling to try and incorporate a not-too-red color, but still brown shade in my brows so they'll somewhat match. This duo was perfect to accomplish that! Previously I had been using MAC shadow in Chocolate Brown, which worked but didn't give me the results I was hoping to achieve. The packaging is beautiful. 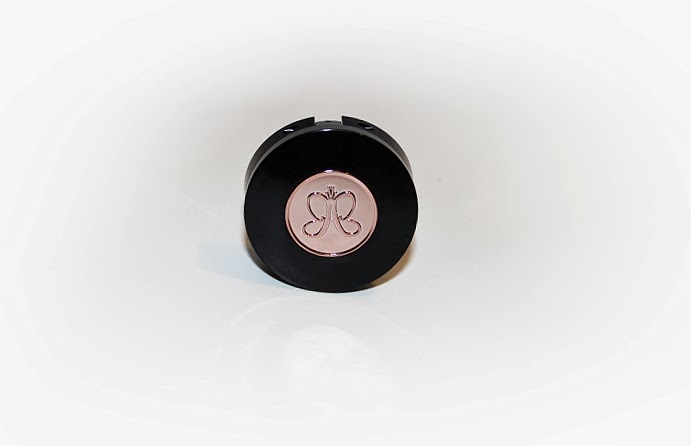 It's a small, round compact with a peachy, rose gold embellishment with the companies logo on the front. The compact opens up to a mirror and a two-toned pan of powders. It's small, lightweight, travel friendly and beautiful. The product is pigmented, smooth and very long-lasting. Regular shadows tend to wear away and smudge over time, but these shadows won't budge. They're fantastic. I use a MAC 208 brush to apply the product. 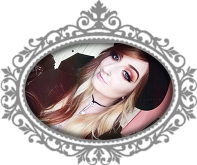 I start with the darker shade on the lower half of my brows and towards the tail to create depth, and I use a mixture of the two shades to fill in the rest. It gives me a perfect, precise brow with the right color. Overall, I recommend this product to someone who is looking for an alternative to eye shadows, is a brow-fanatic or is having trouble finding the perfect shades. This Brow Powder Duo has definitely become my go-to. 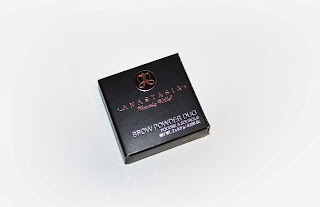 Can be purchased from Anastasia Beverly Hills, Sephora online and Sephora stores.